It’s hard to believe it but Halloween is right around the corner, and that means everyone needs to get ready for the spookiest holiday of them all. 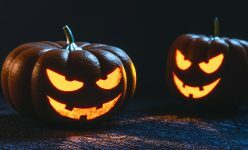 Before the big day you’ll need to drag all of your decorations out of the cardboard box in the attic, buy sweets before half a neighborhood’s worth of trick-or-treaters descend on your front door, and, most importantly, find a great costume to wear. But which costume will really help you stand out this year? After all, pretty much any good idea in memory has been done to death, and on top of that you can guarantee that every other person you run into will go as someone from the year’s hottest movies or TV shows. Being a Jon Snow in a room of Jon Snows isn’t so special. Luckily for you, blu has put together a short list of the best costumes to wear this Halloween to show off your vaping colours by using your e-cig as a prop in your costume! Choose one of these costumes and let everyone know that you’re proud to be a vaper, and make sure you stand out from the crowd this Halloween. Your e-cig will serve as a great prop as a part of your volcano costume, and one of the best things about this costume is that it can be totally different depending on how ambitious you are. To do this idea simply, wear brown clothes underneath and then get a hold of a cheap pair of yellow and red t-shirts. Cut most of the material from the t-shirts off, leaving the collar on both, with long lines leading down from each. Putting these on over the brown underlayer will give the effect of molten lava spewing. It may be worth tracing these lines before cutting the t-shirts. For even greater effect, you could dye your hair red and yellow to mimic the lava, or grey to imitate the ash coming from the volcano. This costume will require a little more preparation as you’ll have to put it together with cardboard before painting the final design. The best way to get it done is to have a large box that slips over you for the main part of the train with a small, cylindrical tube attached to the front to serve as the front of the train. You can also fix the chimney to this tube to give your train its unmistakable finish. You can attach some spare braces to the main box to make sure you don’t have to cling on to it all night, and you can use the spare circular cut-outs from the smaller tubes as wheels on the side of your train. For the more adventurous costume makers among you, cut a series of holes from the main box to the chimney so you can blow your vape through and give your train a realistic feel. Whether you go contemporary or traditional, nothing’s gonna beat this mythical beast! You’ll be able to find plenty of pre-made dragon costumes out there, so if you’re short on time this may be the costume for you. If you want to make your own, it’s a great chance to get creative and give your costume a personal touch. You can make the mask by cutting and painting a plain face mask, although you should make sure that this colour scheme matches the outfit’s accompanying clothes. Try to find clothes that will give your outfit a particularly scaly look. The wings can be made by tracing the shape onto large pieces of card before cutting, painting and decorating. Attach the wings to two looped pieces of string so you can wear them rather than sticking them to your shirt. 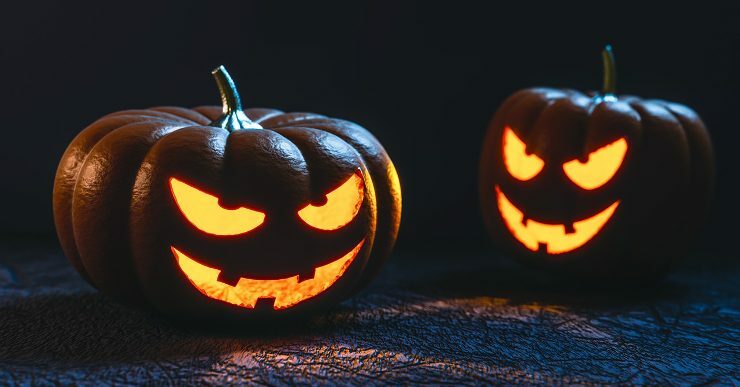 If you decide to use your e-cig as a prop in your Halloween costume this year, make sure to take plenty of pictures and share them with us on Facebook and Twitter.